The human skull is structured like a puzzle, comprised of 22 bones joined by sutures. There is also a space between the brain and skull known as the arachnoid space. Within this space there is Cerebral Spinal Fluid (CSF) and a rich blood supply to the brain. Certain injuries to the scull can cause the bones to be knocked out of their proper alignment. These misalignments can interfere with an individual’s nerve, CSF and blood supply to the brain. A misaligned scull can also exert extra pressure on the brain which interferes with the brain’s nutrient and oxygen supply, where pain and altered functions can be a direct result of the added intra-cranial pressure. Dr. Rodwin has had great success treating patients who have suffered a concussion using the cranial adjusting technique. She has been able to help patients who have tried many other treatments without success by treating the root cause of the post concussion symptoms – cranial misalignments. 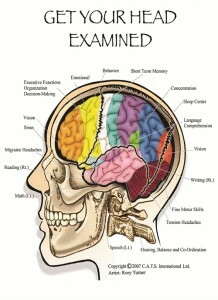 For more information about the functions of each part of the brain, please follow this link. 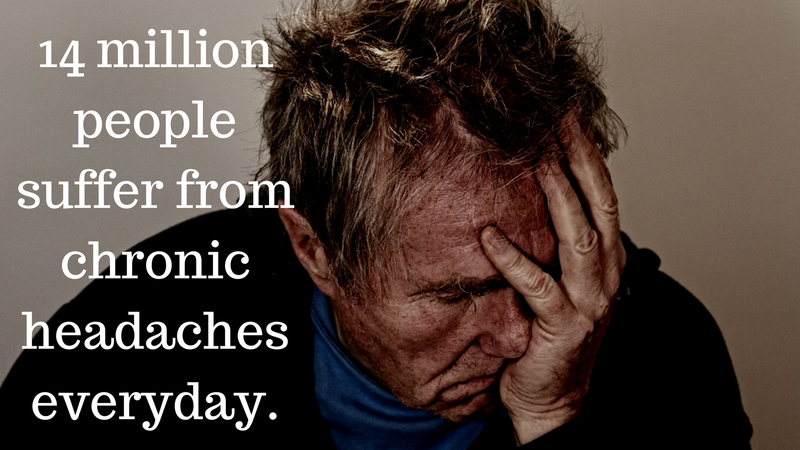 Is a Cranial Adjustment similar to a Chiropractic Adjustment of the spine? Adjustments to the cranium are done a little differently in comparison to the spine. Instead of a dynamic adjustive thrust, there is a constant /consistent pressure applied in the opposite direction of the misalignment. Will I hear a “popping” (cavitation) noise and how long does an adjustment take? Typically the cranial bones will not release with a “popping” noise, cranial bones move slightly and there will either be no noise heard or an audible “cluck” if there sutures are realigned. An adjustment takes around 6 seconds. What will I feel during a Cranial adjustment? Both the patient and the practitioner are able to feel the repositioning of the bones during a treatment. Sensations that a patient may experience are wiggles, pulsations, slides and multiple releases. Any individual who has suffered from a head injury (such as a concussion) or trauma should have themselves examined for any bone misalignments. Certain health problems seem unrelated to bone misalignments, yet they can still be the result of a head injury or trauma. 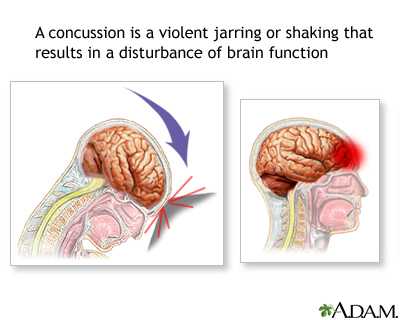 Amanda Byrne is 21 years old and suffers from concussions. She receives the Cranial Adjusting Turner Style (CATS) from Dr. Rodwin for this. Dr. Rodwin also provides her with key supplements to help her brain healing process.